Sweet Home Films LLC and Sweet Horror LLC are proud to announce that the legendary Lloyd Kaufman of ‘The Toxic Avenger’ and ‘Troma’s War’ fame will join the cast of ‘Horror House’ as Joe The Realtor this week. Mr. Kaufman will be playing the role ahead of his visit to this year’s Comic-Con in San Diego. He will be joining the production for its final day of shooting. The film’s Director Evan Marlowe is thrilled to have Mr. Kaufman on board, as he also loves pushing the boundries of film making and playing on the comedic side of horror and gore. ‘Horror House’ is a film in five parts in the style of the ‘Creepshow’ series. The story combines ghosts, monsters, magic and mystery all under one roof. Tagline: Home sweet horror. Five different stories, one house of fear. The movie is produced and written by Kerry Finlayson, who also stars in the film, along with Lauren Lakis, Kaden Graves, Alyssa & Katelyn Hunter, Elain Reinhart, Helen Soraya, Zachary Haven, Abbey Anderson, Catharina Widell and Alex Sanborn. 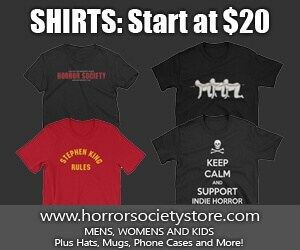 Sweet Home Films draws on the 70s/80s horror styles, bringing back the look and feel of the horror movies of the past. The Executive Producer is Todd Slater from Slater Brothers Entertainment (Ray, Chain Letter, House of Dust). The media pages for the film: Facebook: www.facebook.com/horrorhousemovie / Website: www.horror-house.com . ‘Horror House’ will be out early 2013. Next article THE COMPLETE HAMMER HOUSE OF HORROR!